A Sales and Marketing Technocrat with Over 22 Years of accomplished Cross functional Experience in functional Area of ISP & Telecom with P&L responsibility . Well known as RSN, he is associated in telecom companies like GTL, Sprint RPG, Sify Technologies Ltd, Reliance Communications , Tulip Telecom since 1992. His vast experience will bring LOYAL to new heights in Voice & DATA business. Dr AVS Suresh is a Consultant Medical Oncologist & Hematologist at Continental hospitals with over 15 years of experience in treating solid & hematological malignancies. The core expertise being the bone marrow transplantation and his team did more than 100 cases so far. 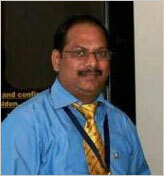 He pursued MBBS from prestigious IMS, and continued to work in institutes of excellence like AIIMS. He earned his DM from KMIO, the premium cancer training center. Among wide career opportunities, which he could chosen for his talent, his keen interest in translation research had finally lead him as a renowned physician- scientist. Visionary: Running successful companies In India with Global presence, customers from Global markets. 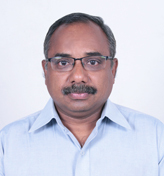 We, LOYAL welcomes Srinivasa Murthy best known as Srini as President, International Business who brings more than 24 years of experience in the field of Business and Entrepreneurship. He is quite agile in the fields of technology, Leadership; Management and Free Education to the needy. Venkat V, a professional CA with 20 years of Business Development is associated with companies like BLUE FROG TECHNOLOGIES,SEAGATE,KPMG and GENPACT. 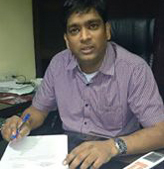 His contributions especially in developing Mobile Apps to Govt Department are notified by most of the Govt Deprtments. 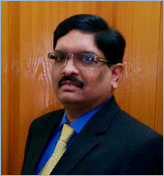 A person with passion for Business Development & Operations with noteworthy contributions in the areas of Rural Development, Urban Development & Social Enterprises & Development sector, with more than seven years of Government Projects especially development sector, six plus years of operational experience in managing regional data centre for MNC and three years of Software related development & admin experience. Strengths include ability to stretch beyond the parameters of entrusted role & proactively comprehend & effectively deliver the tasks entrusted. He’s basically professional (Dental surgeon and Orthodontist , practicing since 1998), and an academician as well with the teaching experience of above 16 years. 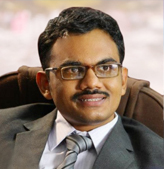 Presently he’s working as Principal, Professor and HOD, at Lenora Institute of Dental sciences, Rajahmundry.